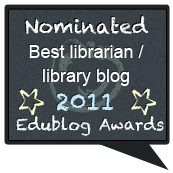 Tales from a Loud Librarian: Why I Blog . . . I have been blogging for awhile. I have had four separate and very different kinds of blogs. There was a particular impetus for creating each one of them. However, each time I had a purpose and goal in mind. The blogs evolved over time, especially this one, but I always knew the kind of message that I wanted to impart. I began blogging in 2005 when I returned to New Orleans after being in exile for 6 weeks due to the devastation of Hurricane Katrina. 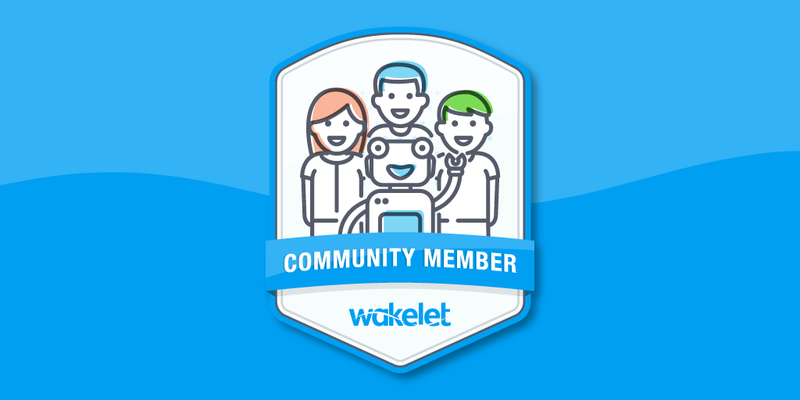 Our friend, Christian Crumlish (aka mediajunkie), had recently started a web magazine and encouraged us to blog about our experiences. Blogging was still new. My husband and I felt that we had a lot to say. Everyone returning home from their exile had a distinctive experience, and the world was watching. We were lucky because our house was located in the sliver by the river, so we experienced no flooding. There was some minimal exterior damage to our home, and the gutters had to be replaced. Our home was safe, but we lost our jobs and family members and friends moved away from New Orleans permanently. Times were tenuous, and blogging about our experience helped to ease some of the emotional pain. After a couple of months, we decided that the writing was making us more depressed, so we ended it. I tried searching for that blog to give you a link, but it seems to be gone. The next blog that I created was in 2008. I was diagnosed with breast cancer in April of that year. Every night after work, the phone would ring incessantly with family and friends inquiring about the state of my health. I thought that if I blogged about that experience, I could keep everyone up to date and relieve some of the time that I had rehashing my experiences over the phone. That blog lasted the length of my treatment from May of 2008 until October of 2009. Once my treatment was finished, there was no reason for me to continue that blog. In the spring of 2010, I began a complete renovation of my kitchen. Since I liked how well you could share with a blog, I decided to create a blog just to show our kitchen redo. The renovation lasted two months, and that was the length of time that I added content to that blog. I learned that I loved blogging. I liked getting my thoughts out in a journal format that was public. I thought that maybe my blog about my experience with cancer may help others who are experiencing the same thing. 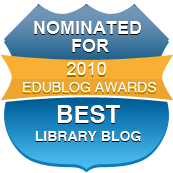 Since I knew that I was going to end that blog when my treatment ended, I decided during the beginning of the 2008-2009 school year that I was ready to blog about my experiences in my school library. I believed that we were doing some pretty exciting things in the Patrick Taylor library, and I liked sharing our activities and knew that a blog was a good format for sharing. So I created Tales from a Loud Librarian and have been blogging here weekly for three school years. I am gearing up for another year that begins on August 9th. At the beginning, my entries were sporadic, but at some point I decided that I wanted to post weekly if not more often. 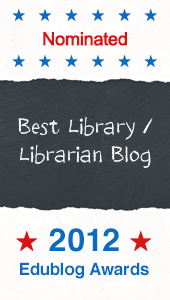 I use the blog to document all the special events that occur in the library, some of the lessons that I think are outstanding, what I am reading in young adult literature, what I am doing professionally and tips and tricks that work well in my library setting. I also think that this blog serves as a digital portfolio. If anyone questions what is going on in the Patrick Taylor library, I can send them a link to the blog to show that the library is the hub of Patrick Taylor. Without the library, the students at Taylor would have a school experience that is not as rich as it is now. I believe that very strongly, and I am very lucky to be able to say that my principal, Jaime Zapico, believes it too. I have tremendous support from both the administration and the faculty at Taylor. I have developed a library program that is well integrated within the fabric of Taylor, but I could never have done it alone without the support of the faculty. 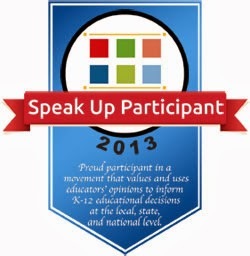 With this blog I can be a true advocate for the library and for my school. 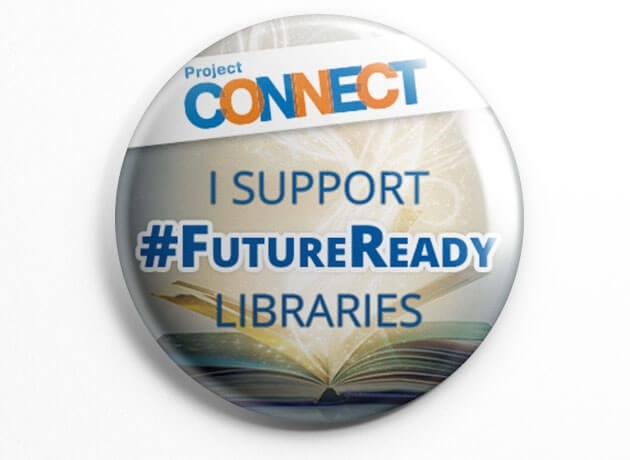 These days when school districts are cutting librarians and gutting library programs, advocacy should be high on every librarian's list of to dos. If you need some good ideas for advocacy, you can sign up for AASL's Advocacy Tip of the Day, and you need to try some of them out. I have.